Chicago Avenue has been the site for a community garden in the Cabrini-Green neighborhood since 2003. Located at 444 W. Chicago, the garden became an Urban Farm in 2010. The Urban Farm offers training in urban agriculture, leadership, and microenterprise development to youth. The Farm also provides opportunities for individuals and groups to volunteer, purchase produce, garden, and participate in community outreach activities. For programming information, contact Natasha Holbert, Director, at 312.274.3831 or nholbert@fourthchurch.org. For youth programming and CSA information, contact Ben Jaffe, Associate Director of Urban Farm Operations and Workforce Development, at 312.252.3597 or bjaffe@fourthchurch.org. It’s not too early to get your name on our list for 2019 CSA Salad Shares, as some years we sell out! Community-Supported Agriculture (CSA) is also known as “subscription farming.” You buy a share, or subscription, from a local farmer just like you buy a subscription to your favorite magazine or newspaper. Instead of receiving a publication each week, you receive a “share” of fresh, locally grown produce! Fresh, organic produce is offered for sale during the summer months at our onsite Farmstand. The Farmstand is open on Saturdays, May through mid-November, from 10:00 a.m. to 3:00 p.m. Cash, check, credit cards, and FMNP (Farmers Market Nutrition Program) coupons are accepted. For those who are unable to afford produce sold at the Farmstand, staff can coordinate a sweat-equity option on an individual basis. All produce sold is grown onsite and selection varies according to the season. Items available may include lettuce, spicy greens, kale, Swiss chard, scallions, onions, peas, beans, radishes, salad turnips, squash and zucchini, cucumbers, cherry tomatoes, heirloom large tomatoes, sweet peppers, beets, spinach, okra, basil, cilantro, dill, mint, flower bouquets, and more. The Youth Workforce Development program provides high school youth in Near North neighborhood and surrounding communities with the skills to grow fresh produce for themselves and others, transferable job skills, and insight to how food and food systems affect their daily lives. For more information about the Urban Farm Youth Workforce Development program or to volunteer, contact Ben Jaffe, Associate Director of Farm Operations and Workforce Development, at 312.252.3597 or bjaffe@fourthchurch.org. Click here to learn more about youth programming. The Chicago Lights Urban Farm’s Assistant Grower Internship is a ten-month (March–December), part-time paid opportunity that provides individuals ages 18-26 with barriers to employment with advanced job readiness and site-specific training. Stay up-to-date with everything happening at the Urban Farm by signing up to receive our e-newsletter here or send email addresses to Ben Jaffe. The Urban Farm (444 W. Chicago Ave.) is open each Saturday from April 2 to November, from 12:00 noon to 3:00 p.m. Join us there at 12:00 noon for a tour and feel free to spend as much time as you wish afterward helping out. Volunteer groups should meet at or before their scheduled time at their scheduled location. At arrival, we will have your group sign our volunteer ledger and put on name tags. Tours are a suggested $5 donation (please bring cash or a check made out to Chicago Lights). Saturday volunteer activities may include: general farm clean-up and beautification, weeding, adding compost to growing beds, harvesting, trash pick-up, planting, and compost-building. If this does not interest you, don’t worry, there are many volunteer options! Our staff will be happy to find a task that is a good fit for you. Please take a moment to review our frequently asked questions—which include information on what to wear and what to bring for volunteering. The Urban Farm incorporates a traditional allotment garden for individual gardeners. Gardeners choose the foods they want to grow and harvest produce from their own plots, although sometimes agreements are made to share or barter with others. Allotment plots are available to community members living or organizations operating within a five-block radius of the Urban Farm (East to LaSalle St., South to Ohio St., West to Halsted Ave., North to Division St.). Allotment gardening takes place annually, May through November. As an allotment gardener, you will have access to the farm as often or as little as you want to appropriately tend to your plot. Participants also help maintain communal plots; the harvest from those areas is shared with the community and local hunger programs. For more details about allotment gardening, click here. GoodFood Mobile, a microenterprise of the Chicago Lights Urban Farm, delivers fresh Farm produce to those living in the community. GoodFood Mobile makes deliveries of fresh produce between the hours of 11:00 a.m. and 3:00 p.m. each Saturday starting summer 2016 through the fall. The four borders of the delivery zone are the Chicago River, Ohio Avenue, LaSalle Street, and North Avenue. There will also be a designated pick-up area for those who wish to order produce but do not live within the delivery zone. Fill out an order form online by clicking here. A coordinator will follow up with a call to finalize your order and payment. You can also place an order while visiting the Urban Farm (444 W. Chicago Ave.) between the hours of 10:00 a.m. and 3:00 p.m. Simply connect with a staff person to request a form and place an order. For more information, contact Ben Jaffe at bjaffe@fourthchurch.org. For nearly fifty years, Fourth Church has been involved with the children and families living in Cabrini-Green. 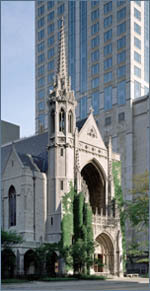 As an outgrowth of that relationship, in 2002 the church bought property in the Cabrini-Green community, on Chicago Avenue between Hudson and Cleveland (444 W. Chicago Avenue), for the purpose of building a community center. The planned community center was envisioned as a way to help the changing neighborhood become a thriving diverse community and to ensure that present residents would not be cast aside in the process of its transformation into a mixed-income neighborhood. As a first step in this important endeavor, while funding strategies for the community center were being explored, the Chicago Avenue site was transformed into a community garden, as a way to strengthen the relationships with the families and children in the Cabrini community. The Chicago Avenue property became the site for a community garden in the Cabrini-Green neighborhood in 2003, with the first beds installed in the spring of 2004, and the garden became a program of Chicago Lights in December 2008, allowing the garden to increase collaboration with other Chicago Lights programs in the Cabrini-Green neighborhood, further ministry related to education and hunger, access outside funding sources, and increase involvement in and visibility of the Chicago Avenue Program. The Chicago Lights Chicago Avenue Outreach continued to thrive as a garden through 2009. In 2010, in collaboration with Growing Power, a nationally recognized leader in urban agriculture, the garden expanded to become an urban farm. In April 2012, the Session and Trustees of Fourth Church passed a motion regarding the Chicago Avenue property. As noted in a November 4, 2011, email to the congregation, these Boards had passed a motion on November 3 to pursue negotiations around an offer received to purchase the Chicago Avenue property. This, in turn, was a follow-up to the action taken the previous autumn in which sale of property assets was identified as a funding option for Project Second Century (P2C). 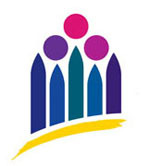 In November 2010, the Boards had appointed a study commission to explore ways in which Fourth Church and Chicago Lights’ longstanding commitment to the Cabrini-Green community could be continued and enhanced while also taking into account the financial needs of P2C. To implement part of the 2011 motion, an outside consultant was engaged to conduct a feasibility study to assess the ability to potentially raise the funds outside the membership of Fourth Church for Chicago Lights to purchase the Chicago Avenue property. In April 2012, the Boards received the report of the consultant. The firm identified great interest among corporations and individuals around funding programming activities and supporting urban farming; they did not, however, find much engagement around helping invest in property. The Boards also heard that negotiations around selling the property have resulted in a desire on the part of the interested party to move to a letter of intent to buy, with an agreement that would include a leaseback provision to enable continued Chicago Lights Urban Farm programming on that site for a defined period of time. Thus at their April 2012 meetings, the Boards passed a motion asking that a contract for the sale of the Chicago Avenue property be negotiated and brought to Session and Trustees. They also asked that the contract include provision for continuing to provide urban farming in Cabrini-Green in the coming years. In January 2013, the Boards received and recommended for congregational approval a contract to sell the property on Chicago Avenue for $3.2 million to the Chicago Housing Authority, with the inclusion of a two-year leaseback at no leasing cost. The recommendation to sell the property was presented at the Fourth Church Annual Meeting of the Congregation on Sunday, February 10, 2013, and both the congregation and Chicago Presbytery approved the sale. The property was then sold to the Chicago Housing Authority, with the inclusion of the two-year leaseback (through May 31, 2015). This two-year-minimum lease period allows the Chicago Lights Urban Farm programming to continue on Chicago Avenue through May 2015 (with the option for two more growing seasons beyond that) while providing additional time to pursue alternate sites and opportunities for the mission outreach currently taking place there.